Take a Ziptrip on election night (November 6th, 6-10pm) and get $20 off a future trip. At Zipcar, our mission is to enable simple and responsible urban living – a mission that aligns with the responsibility we have as citizens to vote. With #DRIVEtheVOTE, we encourage our community of civic-minded Zipsters to not only zip to the polls themselves, but to encourage others to vote as well. Together, we can make a real difference. 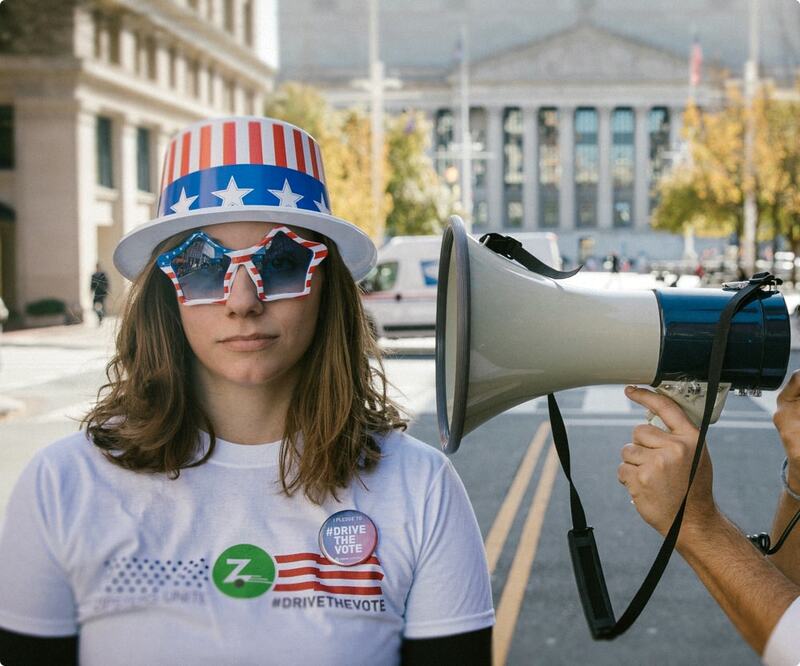 Zipcar is more than a company dedicated to helping the community zip to the polls, we're a team of like-minded individuals passionate about voting ourselves. We'll see you out there! Are you as poll-passionate as we are? 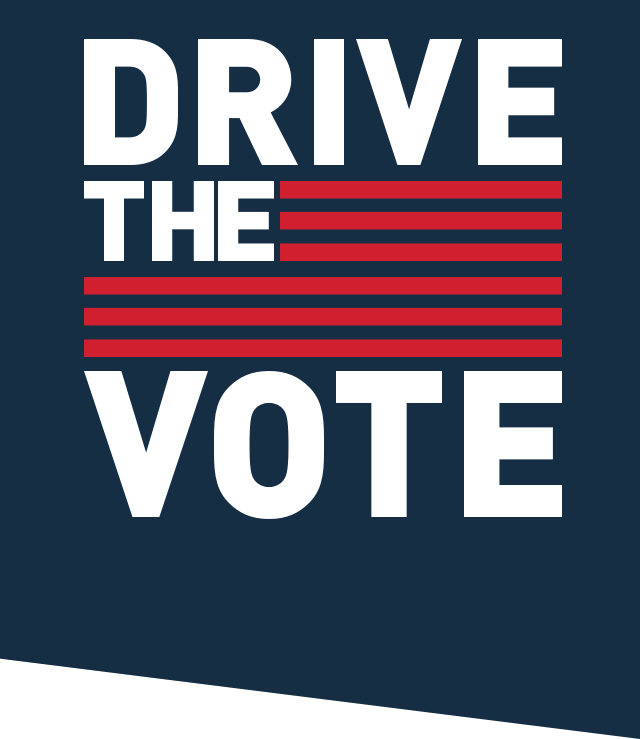 Share how you're driving the vote, tag us and #DRIVEtheVOTE. And don't forget to encourage others to vote! Offer available to active Zipcar Members in good standing. To qualify for $20 free driving credit, Member must be opted in to receive marketing emails and complete a reservation between 6:00 and 10:00 PM (EST/CST/MST/PST) on November 6, 2018. Cancelled trips will not count as qualifying drives. A coupon code to redeem driving credit will be emailed by November 9, 2018. Driving credit will be valid for 1 month after redemption. Zipcar driving credit has no cash value. 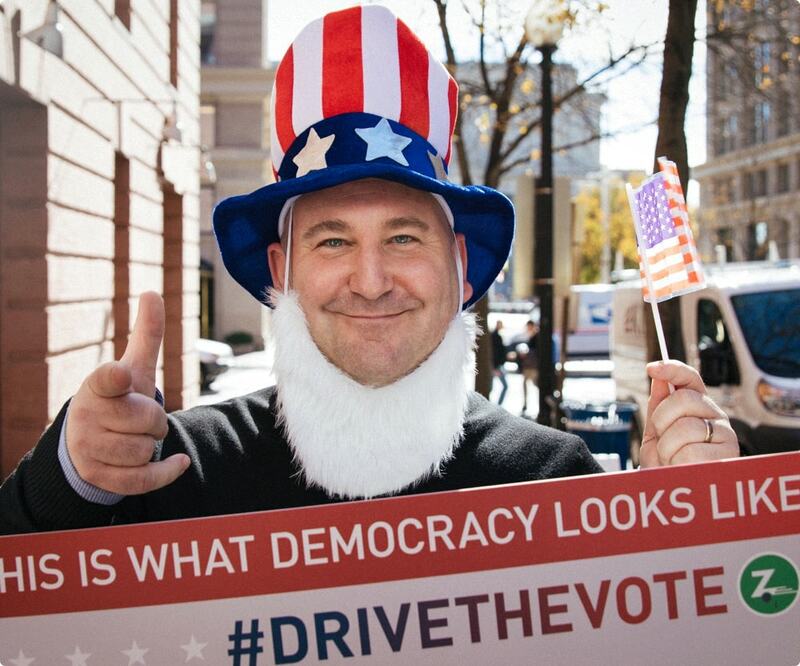 Here’s how #DRIVEtheVOTE is driving a difference. In 2016, I was passionate and penniless after grad school. Voting, especially as a woman, was of fundamental importance and meaning to me. I will be forever grateful to Zipcar for making transportation more accessible during the 2016 election, otherwise I would not have been able to vote. Thank you, Zipcar, for letting me #DRIVEtheVOTE! Because of Zipcar, my high school kiddos were able to be part of the voting experience even before they were old enough to vote. My son wanted to be a part of the experience since he knew he’d be old enough to vote next time around and my daughter, who is very passionate about certain causes, also wanted to be a part of the experience and MAKE SURE I voted! So, I picked up a Zipcar with my kiddos, zipped over to the neighborhood poles, and contributed to my right as an American woman/2-year-divorced single-income mom. It's time to get pumped up about politics. It helps that the midterm elections coming up in November are poised to be, well, a pretty big deal. But beyond just rocking the vote, there’s more you can do to get involved. From driving your neighbors to the polls to volunteering for local campaigns to making longer-term investments in your community, here’s how to be an active citizen in the coming year. Politicos might bite their nails and fill their Twitter timelines in the run-up to the midterm elections, but not everyone is quite so clued up. After all, the American political system is kinda complex.